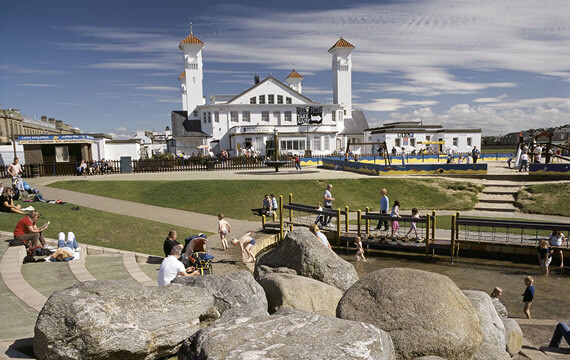 Within a short distance of The Log House and Garpel Estate you'll find a wide range of visitor attractions, activities and events to suit all interests. 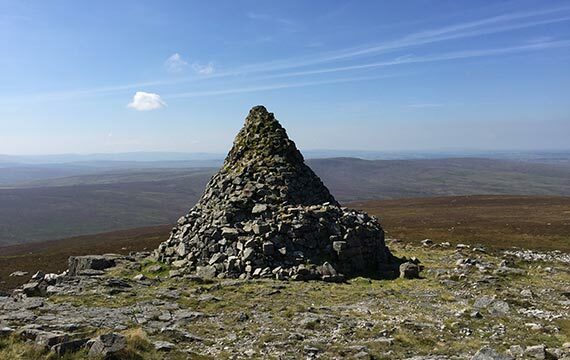 The area is steeped in history with castles and historic sites including, most famously, the birthplace of Robert Burns, the National Poet of Scotland, at nearby Alloway. The Ayrshire coast boasts the best links golf courses in the world that frequently host The Open Championship. 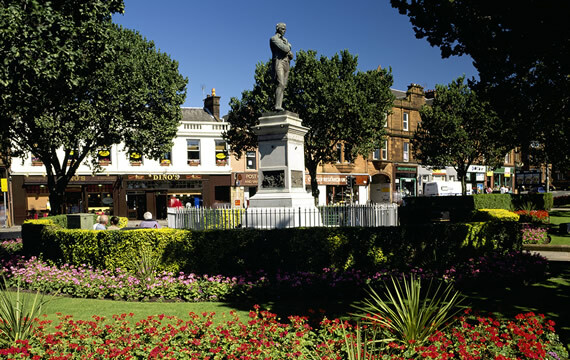 You'll find information and links, below, to a wide range of visitor attractions, activities and events in Ayrshire. 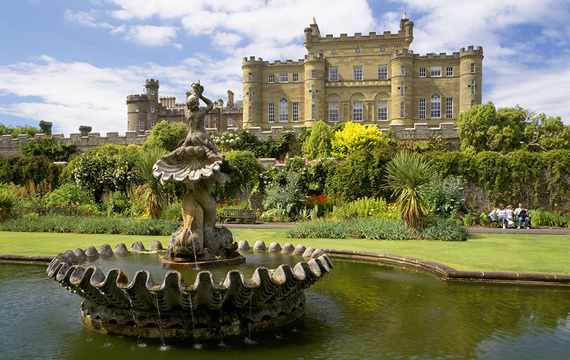 Culzean Castle, pronounced 'Cullain', is a castle near Maybole on the Ayrshire coast of South West Scotland. Now owned and run by the National Trust for Scotland, it is the former home of the Marquess of Ailsa, the chief of Clan Kennedy. The castle itself is spectacular and the grounds beautiful with the country park complete with palm trees, tea rooms, shop and childrens' play area. Robert Burns, the National Poet of Scotland, was born in the village of Alloway, Ayrshire, on 25th January 1759. Alloway, two miles from the county town of Ayr, is the ideal starting point for a tour of Burns country. Starting at the Robert Burns Birthplace Museum you can visit the 'Auld Clay Biggin', the thatched cottage built by his father and birthplace of Burns, which has been restored to its original setting as it was in the poets' time. The museum itself houses a unique collection of original manuscripts, paintings and personal artefacts. Also within the village of Alloway is the Kirk Alloway (circa 1516) where the poets' father and sister Isabella are buried. The Kirk and, close-by, the Auld Brig O'Doon are famously in the poets' prose "Tam O' Shanter". With beautiful views over the Irish Sea and the magnificent Ailsa Craig, The Spa at Turnberry is the ideal place to relax and revitalise. If you're looking for something more child friendly Heads of Ayr Farm Park has almost 50 different types of animal which you can meet, touch and even feed! You can also play at the farm park which is packed with fantastic activities like indoor and outdoor play areas, an aerial runway, quad biking, ringo sledging, tunnel land and combine castle. Set in 155 acres, Ayr Racecourse is the premier racecourse in Scotland hosting up to 30 race meetings a year and home to the Coral Scottish Grand National and William Hill (Ayr) Gold Cup Festivals. Attracting not only the leading horses in the sport but also the top jockeys and trainers with names like Tony McCoy, Graham Lee, Ruby Walsh, Paul Hanagan, Kieren Fallon and Frankie Dettori regular visitors to the track. 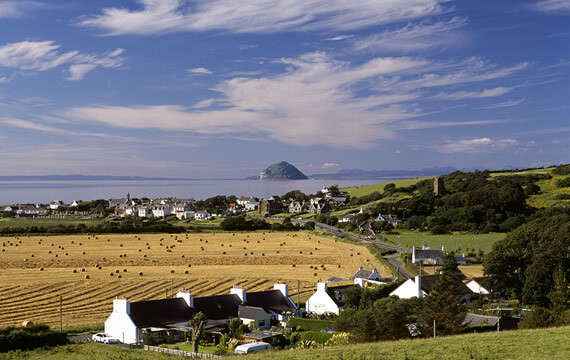 Formed from the volcanic plug of an extinct volcano, Ailsa Craig was once quarried for blue honed granite to make curling stones. It is now an RSPB bird sanctuary and is home to some 36,000 nested gannets! A spectacular boat trip leaves Girvan to this bird sanctuary. 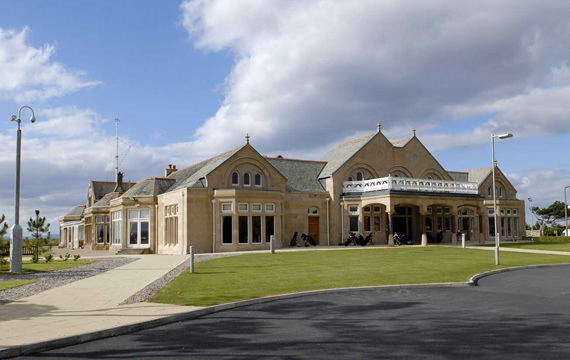 Prestwick Golf Club is a relaxed and friendly club that hosts golfers from all around the world. It is the birthplace of The Open Championship which was first held in 1860 at Prestwick. 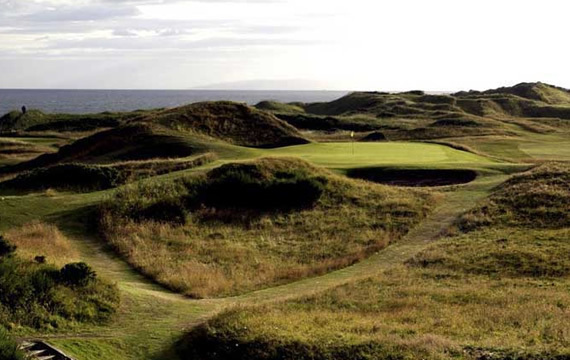 Royal Troon has been chosen to host The Open Championship in 2016. Come and see why this golf club is known as one of the finest championship courses in the world. The Ailsa course at Turnberry Resort has hosted four Open Championships. Turnberry is links golf at its most challenging, its most exciting. A hidden gem of Scottish links golf dating back to 1897 Western Gailes should be in every golfers' 'must play' courses. Ballochmyle, Mauchline, is an inland 18 hole golf course situated some 10-12 miles from the Ayrshire coast. Muirkirk Golf Club is a challenging 9 hole moorland course set amongst Muirkirk's dramatic and picturesque hills. Tickets can be obtained from the Black Bull Hotel on Main Street. Dailly, Ayrshire, designed by Donald Steel; the Burns course measures 6566 yards from the Championship tees.